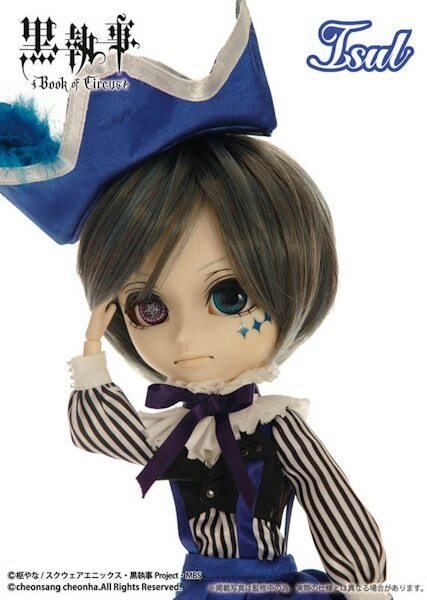 The last appearance of an Isul doll was Isul Gosomi in June 2014. 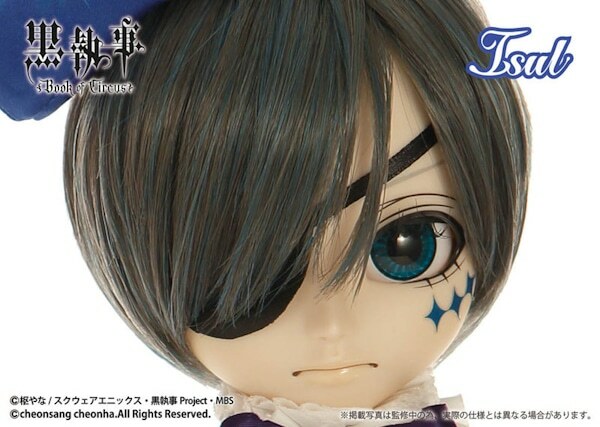 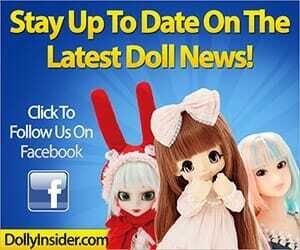 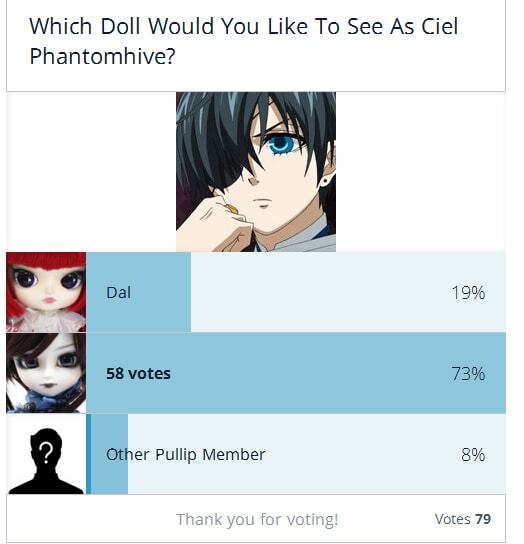 On March 10, 2015 we asked you "Which Doll Would You Like To See As Ciel Phantomhive?" 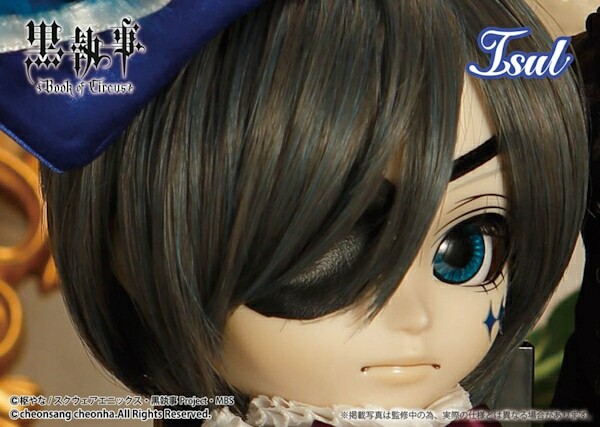 Bring home this cute boy! 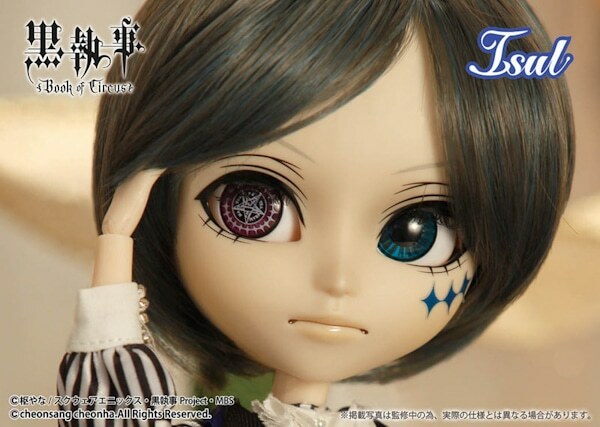 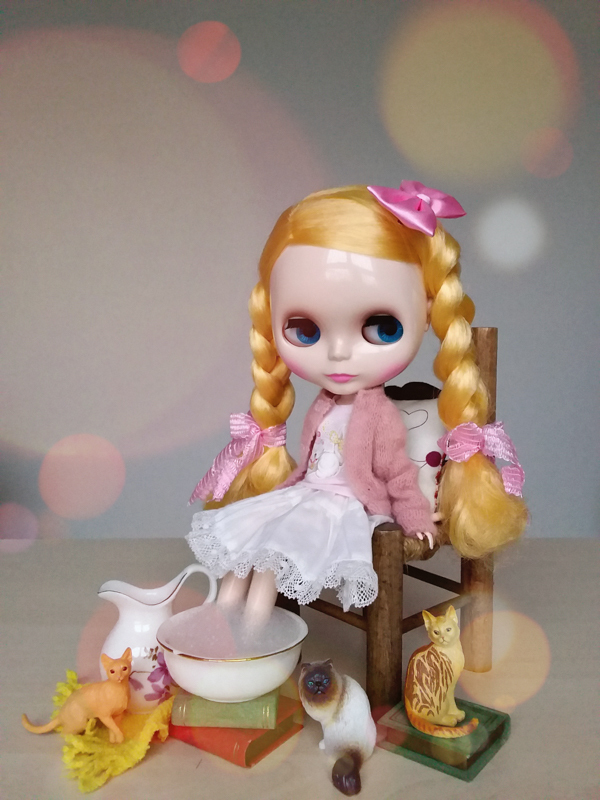 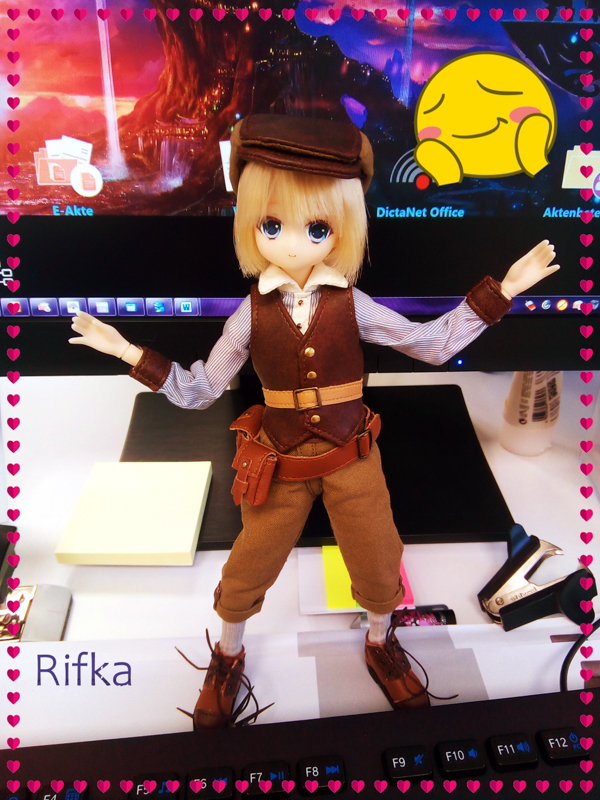 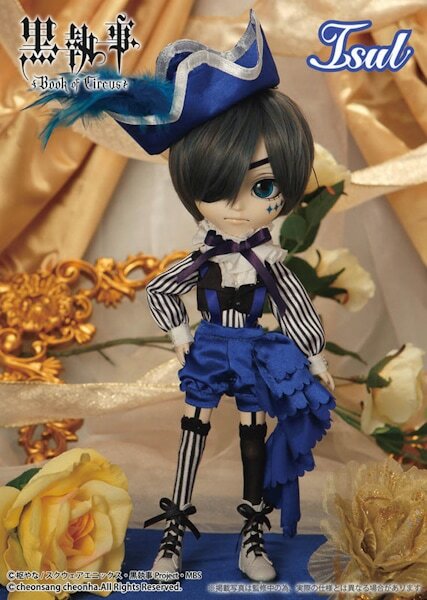 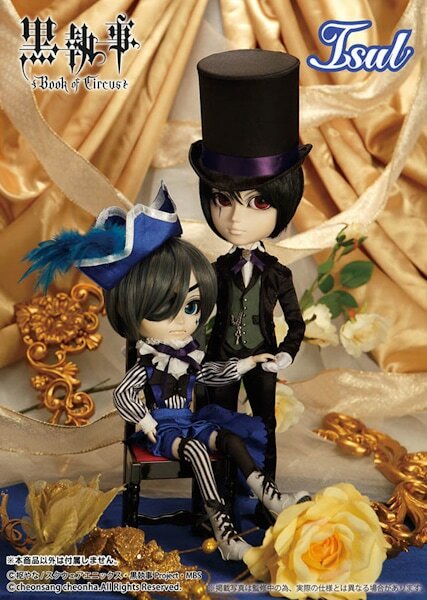 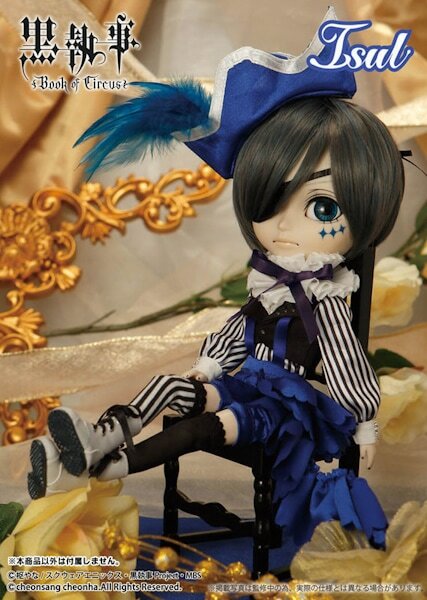 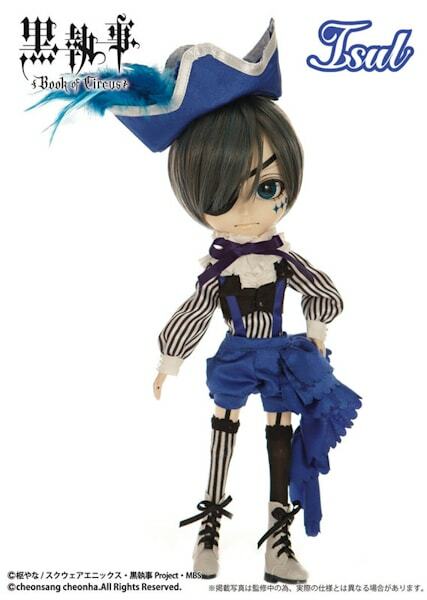 May 2015 Pullip and Kuroshitsuji fans can bring home their very own Isul Ciel Smile version from the series Kuroshitsuji Book of Circus. 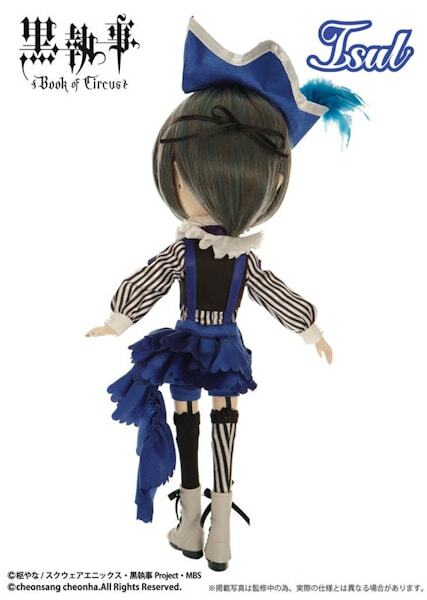 In 2009 Groove/Jun Planning previously released 2 versions of Ciel who where represented as Dal, Dal Ciel & Dal Ciel (Robin Version).